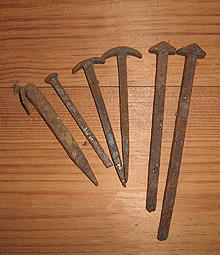 Hand wrought nails have been around since at least Ancient Egyptian times. 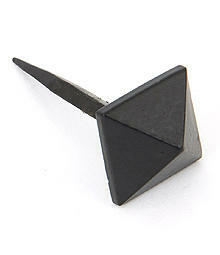 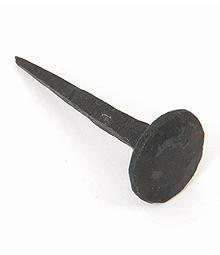 Up until the 1800’s, nails were made by hand by nailers or nailors (believed to be the origins of the surname Naylor). 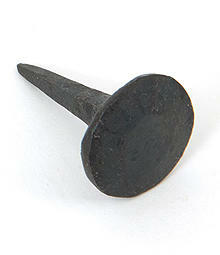 At the time of the American Revolution it was reputed that England was the largest manufacturer of nails in the world. 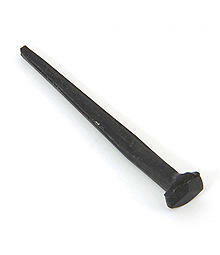 We stock the hand forged, new, From the Anvil nails and door studs which are ideal for recreating a traditional look to doors and woodwork.